early morning actor Sung Hoon did Instagram LIVE at Busan today he is shooting new drama #MBN name " new work"
and another Link for 18 min. 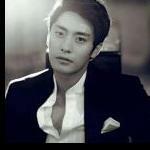 of his IG Live is saved at facebook fan page " Sung Hoon International "
His costar is Han Bo-reum. she most recently had a supporting role in Memories of the Alhambra.